A lot of people mistake Gundams for Transformers. I don’t blame them, there are a lot of similarities between the two, but the difference is also huge. Artificial Intelligence. Transformers are sentient beings. They are another alien race of their own, with mechanical bodies and they came from a different planet. Gundams are mobile suits. Well, that term does not really help much, but by the term “suit” – it means that people “wear” them, right? But in the case of Gundams – people pilot them. My vague memory of the Transformers series tell me that while people can ride the Transformers in vehicle mode, in robot mode, no human are within the robot itself. More than meets the eye. Who doesn’t remember the theme song of the Transformers series? The Transformers, as the name so subtly suggest, are robots that can transform into something else. The Autobots transform to more civil-themed vehicles, while the Decepticons are more war-like. Now, here is where some people get confused, because some Gundams do transform. The original Gundam had the mobile suit transform from a fighter plane (Core Fighter) as various parts of the mecha are sent to it. 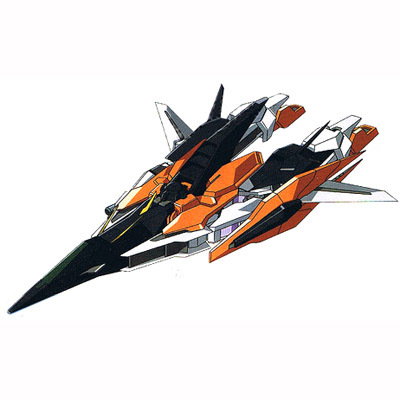 There are some Gundam models, such as Kyrios from Gundam 00 which has the ability to transform to a fighter plane. To the uninitiated to the Gundam franchise, I wouldn’t be surprised if they view this as a “transformer” ability and mistake the robot as another series. Gundam Kyrios, transformed to Fighter Mode. Made in Japan. The original Transformers animation, though it is owned by an American Company, was animated in Japan. I made the mistake to think of it as a “Japanese Anime” because of the animation style. It was only a few years ago that I found out that the Transformers franchise is actually American, but was actually animated in Japan. Gundam is 100% made in Japan. Well, at least that is what I know. Unless they ship off some of the animation to some sweatshop that colors or performs some minor animation outsourcing (which I highly doubt). Now, why the confusion? Well, thanks to the revival of the Transformers and the movies made by Hollywood, Transformers has become more of a popular culture than Gundam. Although it is tiring for me to sometimes point out that a certain mecha show that I am watching is not Transformers, I try. Although at times, I just simply state that it is not Transformers, but Gundam. I know that there are a lot of similarities and differences between these two animation franchise, but from my perspective, these are the things that I find most notable. What about you? Do you have anything to add? Posted in Feature.Tagged anime, comparison, gundam, gundam 00, transformers.